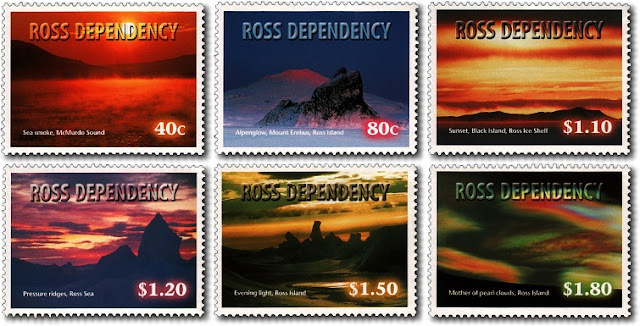 New Zealand's territory in the Antarctic, the Ross Dependency is justly famous for the diversity of its weather phenomena. Imagine a world where summer means 24 hours of daylight, winter 24 hours of darkness – and between these two remarkable seasons, a feast of sunsets and sunrises the likes of which you will find nowhere else on earth. This is the Ross Dependency – a slice of the Antarctic under the stewardship of New Zealand, and home to some of the most spectacular weather phenomena the world has ever seen. After two months of winter darkness in June and July, the sun returns to this isolated region. 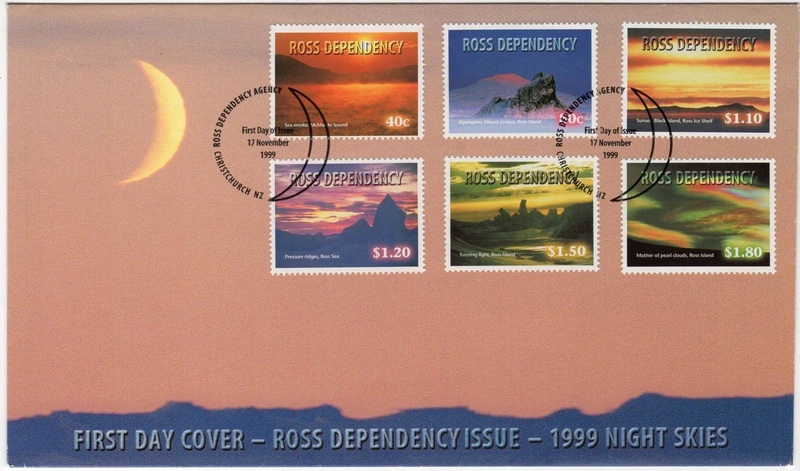 From August to October, those people fortunate enough to be stationed at the Ross Island bases have the opportunity to observe – and photograph – hours of dramatic views as the sun skims along the horizon for hours on end, accentuating this ruggedly beautiful landscape. 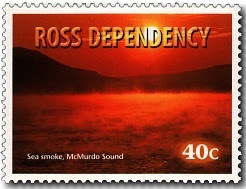 40c - Sea Smoke / McMurdo Sound. 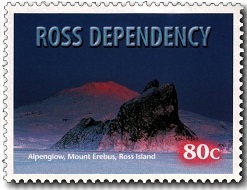 80c - Alpenglow / Mount Erebus, Ross Island. 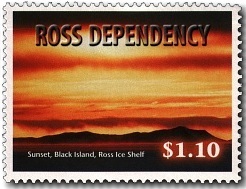 $1.10 - Sunset / Black Island, Ross Ice Shelf. 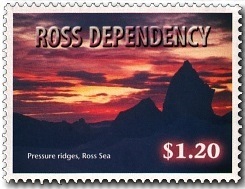 $1.20 - Pressure Ridges / Ross Sea. 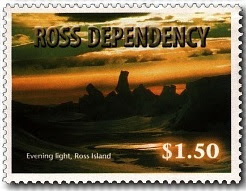 $1.50 - Evening Light / Ross Island. 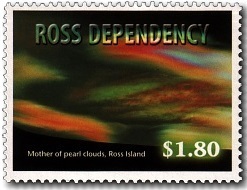 $1.80 - Mother Of Pearl Clouds / Ross Island.